Last month, on a cold, Monday morning I was driving to work and heard a catchy tune on 90.5 WYEP. The song “Friendship (Is A Small Boat In A Storm)” by Chicano Batman has been stuck in my head and even earned a spot on my everyday Spotify playlist. WYEP featured this song as part of new music Monday, timely as Chicano Batman released a new album, Freedom isn’t Free, at the beginning of March. The Los Angeles based band is now on tour with a stop in Pittsburgh on Sunday, April 2, 2017 at James Street Gastropub. The song “Friendship (Is A Small Boat In A Storm)” is the kind of catchy tune that you want to hear on a Monday morning or an afternoon of running errands. Both the name of the song and the word Batman stuck with me. I think I associate Batman with Pittsburgh and thanks to @WYEPplayed it was easy for me to find the name of the song later that afternoon. While I do love Pittsburgh, I will admit that I have quite a crush on the city of Los Angeles. I’ve had the good fortune of making a few visits there of the past decade or so and I am always eager to go back. Los Angeles has a bit of reputation from its Hollywood side, but if you look past the movie stars facade, the city has a grit and authenticity that reminds me a little bit of Pittsburgh. 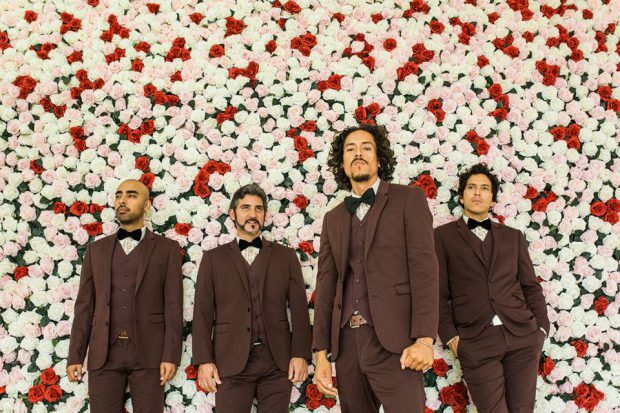 On April 2, for the very affordable Pittsburgh price of $15 you can listen to Chicano Batman live at the James Street Gastropub. « March Monster Madness: Will Godzilla be the beast that beats them all?